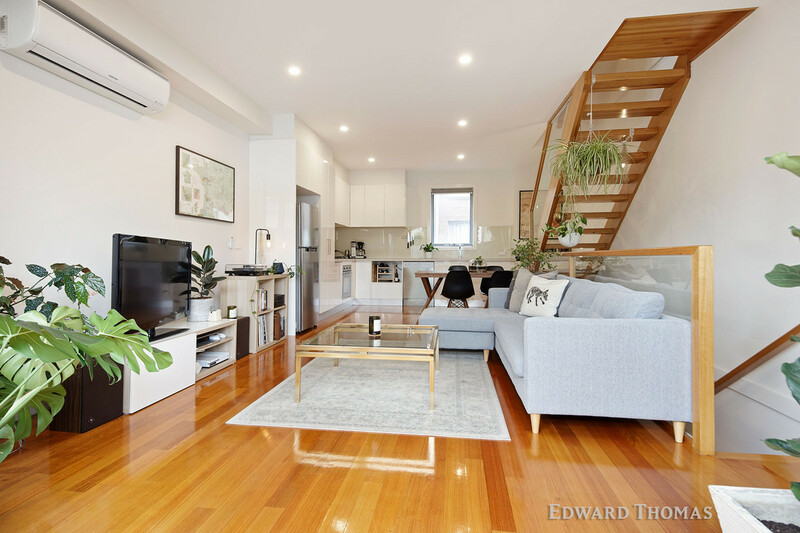 A premium city edge lifestyle awaits with this ultra-chic two bedroom residence uniquely situated close by to Errol Street cafés, Queen Victoria Market, Royal Children’s Hospital and Melbourne University. 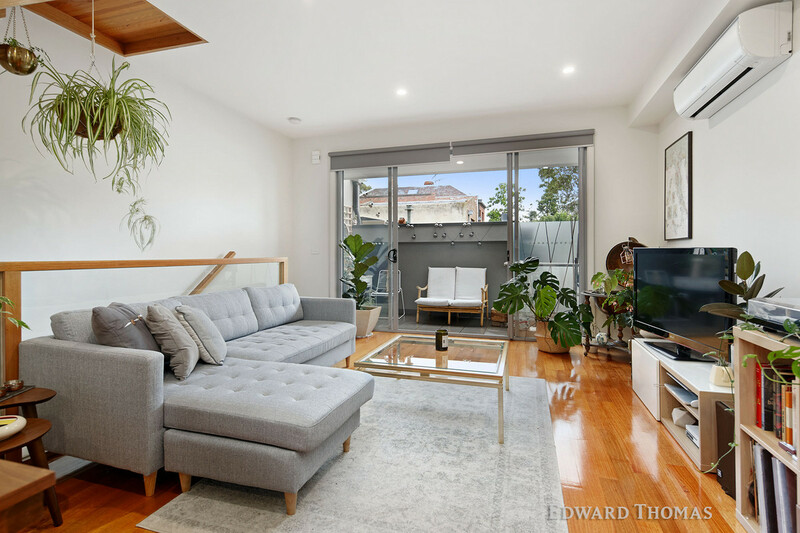 Enjoying private laneway frontage and modern façade, the property also impresses with spacious, stylish interiors enhanced by a private balcony enjoying afternoon sunlight. 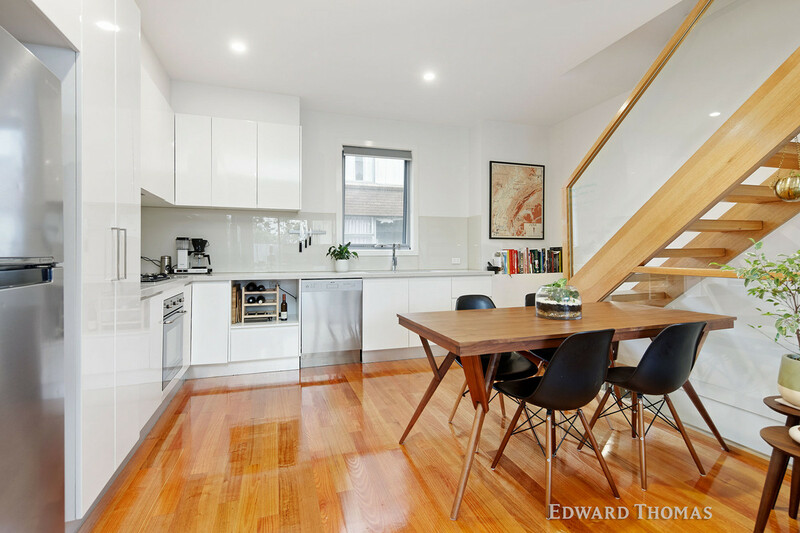 Large glass aspects bring the outdoors into bright open plan living, dining and kitchen zones where modern clean lines, quality finishes and timber accents, including open tread staircase, add extra appeal. A contemporary kitchen is complemented by Smeg appliances, dishwasher, stone counters and gleaming white cabinetry. 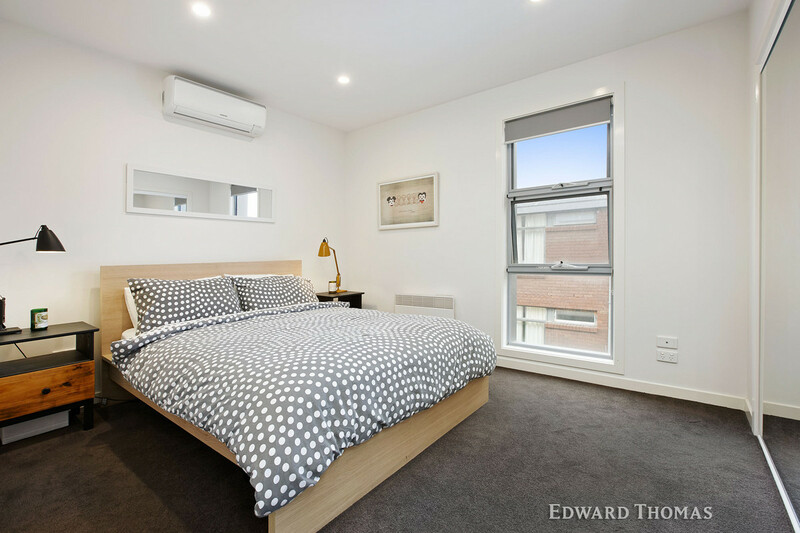 Separation between the bedrooms ensures privacy, both have heating/cooling and generous built-in-robes. 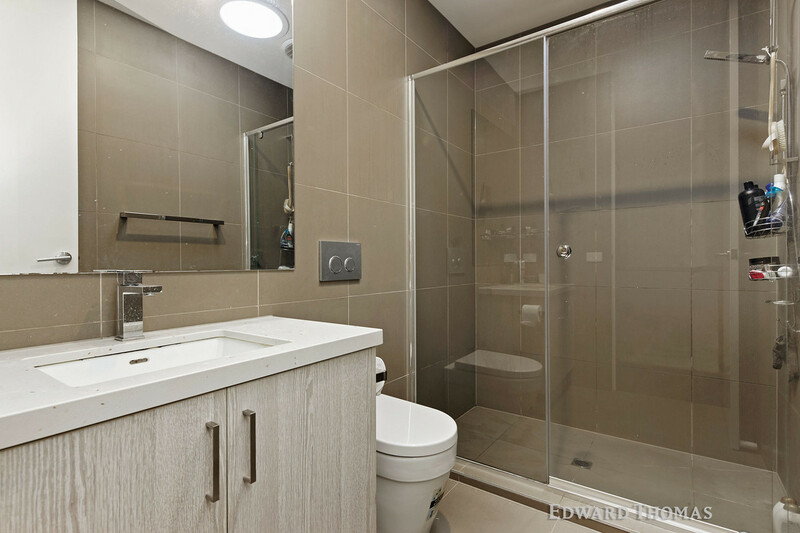 A central bathroom presents modern vanity, large shower and toilet. 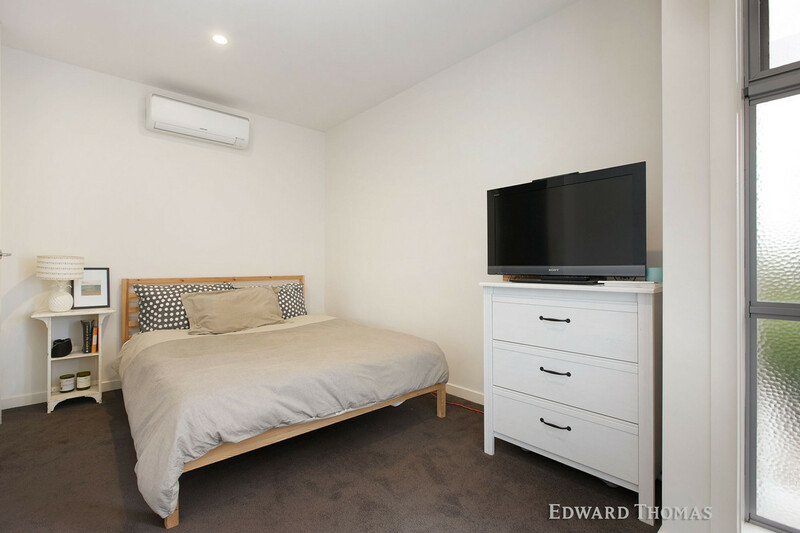 In addition, it features oversized automated garage with direct internal entry, powder room, storage, laundry and outdoor clothesline/bin area. Along with split-systems, panel heaters, polished floorboards and blinds. 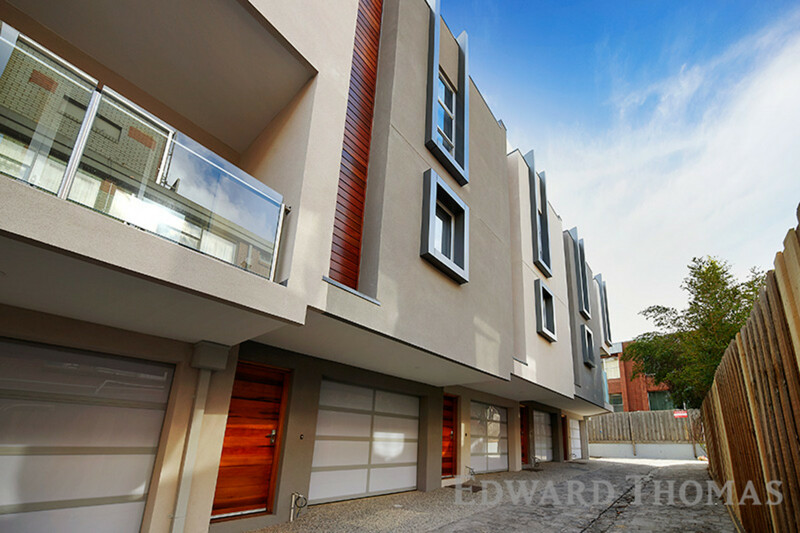 Zoned for University High, it’s near Royal Park, trams, schools and the CBD.